As a writer, I have a lot of fun at bookish events. One of the highlights in 2016 was being part of this lovely author lineup at Linton Children’s Book Festival’s storytime session in Balsham. It was exciting to be there as Yasmin Finch (wearing the yellow builder’s helmet) unveiled her terrific new picture book, Mr Mustachio. 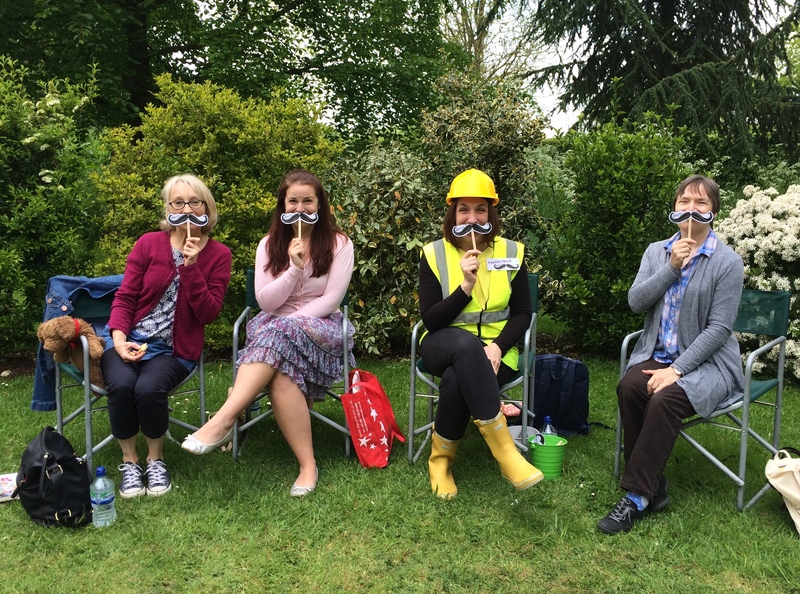 Here we are with Helen Moss and Katie Dale, captivating a group of children with our celebratory moustaches. Later in the year, Katie Dale and I had the honour of opening Bushmead Primary School’s new library. Katie read an extract from her exciting new Middle Grade novel, Mumnesia. And here you can see some of the children doing their best starry twinkling, along with us and headteacher Mr Down, after I’d read them the story of ‘Daddy’s Little Star’. Separately, as well as being a brilliant author, Yasmin is very skillful with websites. I’d like to thank her here for helping me so much with the creation of this one!